At ADK AUTO SALES LLC, located in Austin, TX, we love what we do and want you to love your next vehicle. That is why we're dedicated to giving our customers the time and attention they need when car shopping. From our expansive inventory of quality used cars, trucks, and SUVs, to our friendly and knowledgeable sales staff, your experience is sure to be the best! We’re a family-owned business that’s proud to provide a large selection of quality, pre-owned vehicles for the community. With a commitment to our customers and their happiness, we show everyone a no-pressure car-buying experience. This way, everyone dives off our lot feeling one-hundred percent satisfied with their decision. 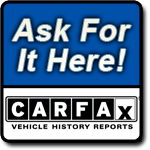 We also provide a free CARFAX vehicle history report with every sale so you can feel extra confident about your purchase. From Ford Mustangs to Chevrolet Silverados, our inventory houses the perfect vehicle for you. 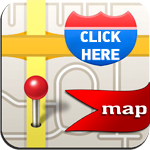 Stop on by soon, and our team will be happy to help you find the car that fits your unique needs, style, and budget. It’s our mission to make sure everyone drives off our lot in a car they’ll love for years to come!